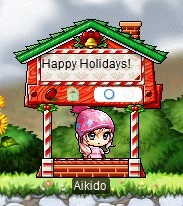 Cash Shop Update for December 27 | Dexless, Maplestory Guides and More! Discussion in 'Maple Updates' started by Nexon, Dec 27, 2017. Twelve Days of Beauty continues on December 31 with a special deal on Permanent Transparent Equip Covers! Do you have some amazing items that boost your stats…but that prevent the world from seeing your smiling face? Transparent equips are the answer! These permanent equips render your regular equips invisible—so you can keep getting those stat boosts but also maintain your amazing style! You have until 11:59 PM Pacific on December 31 (2:59 AM EST / 8:59 AM CET / 6:59 PM AEDT on January 1) to purchase these items at a discount!